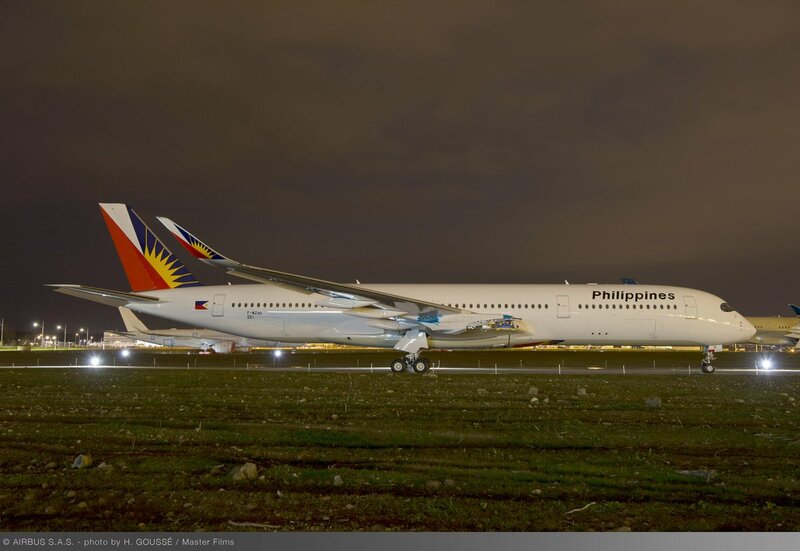 Aviation Updates Philippines - Skytrax-rated four-star carrier Philippine Airlines will commence direct flights to New York starting October 28, 2018. It will replace PAL's Manila-New York service currently operated with a stop-over in Vancouver. MODERN FLEET. Philippine Airlines will receive its first Airbus A350-941 XWB by June 2018. Photo by Airbus. With a stop-over in Vancouver, passengers will have a total flight time of 19 hours and 35 minutes from Manila to New York. However, with the direct service, it will only take 15 hours and 30 minutes to complete a one-way trip of the flight. The four-times-a-week service will be flown using PAL's flagship aircraft, the Boeing 777-300ER installed with in-flight entertainment systems all-around the cabin. This state-of-the-art jet can fly up to 42 passengers in business class and 328 passengers in economy class. This new offering is part of the airline's strategy in providing guests with utmost passenger comfort, safety, and hospitality unlike any other airline. In a media conference at the Marco Polo Hotel in Davao City last week, the four-star airline stressed its continuous effort to maintain and improve its airline rating throughout the years. PAL revealed it is already eyeing for direct flights to New Delhi, Mumbai, and Sapporo as part of its route expansion for this year. The flag carrier will be receiving 21 new aircraft in the next two years. “We are no longer just a Manila-centric airline,” Philippine Airlines President and Chief Operating Officer Jaime Bautista said in a statement. He noted PAL would deploy its new aircraft to expand its presence in their secondary hubs in the country — Cebu, Clark, and Davao. Bautista intends to have 100 aircraft by 2020, up by 15 percent from this year's current fleet. The aircraft will still be fitted with its engines. The photo shows the aircraft coming out of the paintshop in Europe.